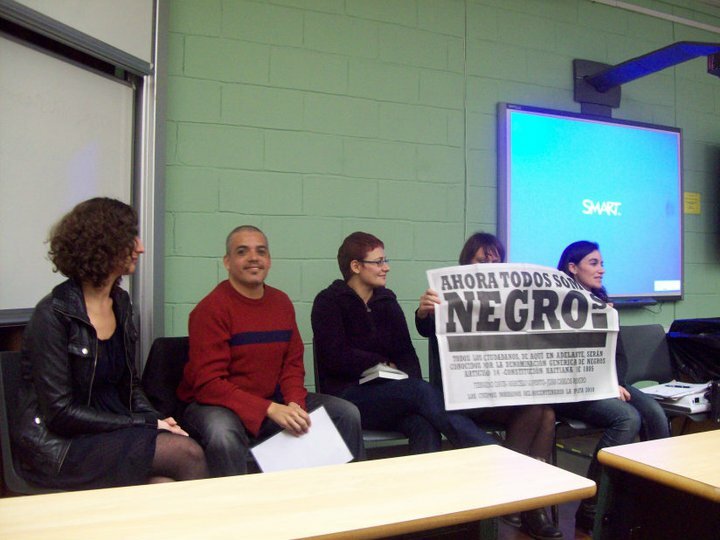 Reproducimos la información sobre el evento que tuvo lugar en la University of Essex e involucró a integrantes de la Red. 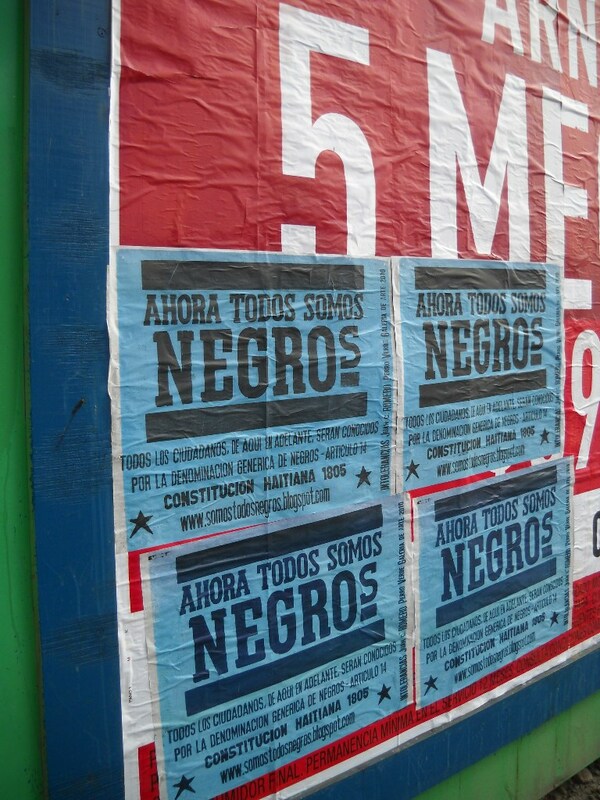 Los textos presentados en estas sesiones están relacionados con los proyectos en marcha como ‘Escrituras Críticas’ y ‘Redes Artísticas Alternativas’. 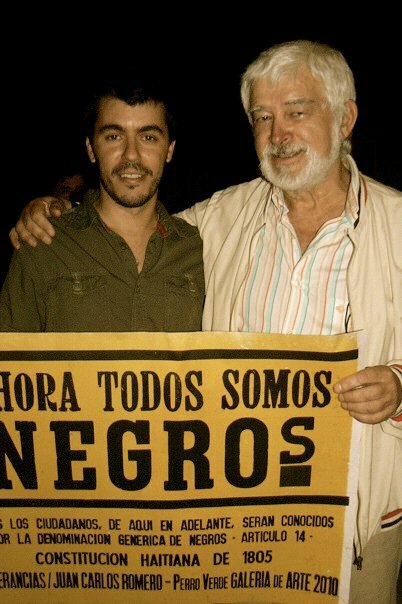 Así también Fernando Davis presentó una intervención en el simposio utilizando los afiches ‘Todos Somos Negros’ realizados junto a Juan Carlos Romero. 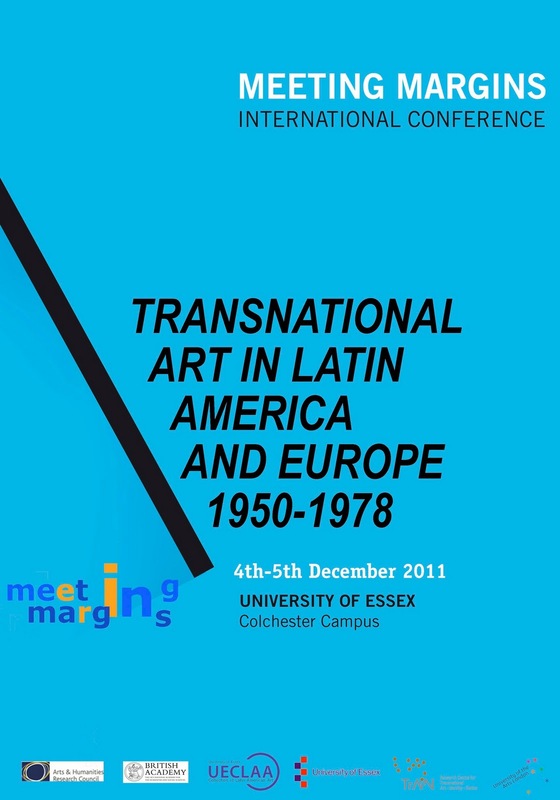 The Meeting Margins International Conference: Transnational Art in Latin America and Europe 1950-1978 will take place at the University of Essex on Saturday the 4th and Sunday the 5th of December 2010. The two day event is open to the public and is being convened by Professor Valerie Fraser and Doctor María Iñigo Clavo of the Department of Art History and Theory at the University of Essex, and Doctor Michael Asbury and Doctor Isobel Whitelegg of TrAIN, the Research Centre for Transnational Art, Identity and Nation at the University of the Arts London. The conference is part of Meeting Margins: Transnational Art in Latin America and Europe 1950-1978, a 3-year research project based at the University of Essex and the University of the Arts London, and funded by the Arts and Humanities Research Council (AHRC) and the British Academy, the UK’s National Academy for the Humanities and Social Sciences. Speakers will include Suzana Vaz (UAL/TrAIN), German Alfonso Adaid (UAL/TrAIN), Sergio Martins (University College London), Aquiles Pantaleão (UAL/London College of Communication), Fernando Davis (Universidad Nacional de La Plata), Fernanda Nogueira (Researcher, translator and literary critic), Zanna Gilbert (Tate/University of Essex), Olga Fernandez (Royal College of Art/Universidad Autónoma de Madrid/Universidad Nebrija, Madrid) Eduardo Grüner (Universidad de Buenos Aires), Jaime Vindel (Universidad de León), Miguel López (Art Historian and Independent Curator), and Oriana Baddeley (UAL/TrAIN), as well as contributions from Pablo La Fuente (Afterall), the convenors and the project’s external advisors, including Taína Caragol, Guy Brett, Dawn Ades and Joanne Harwood. 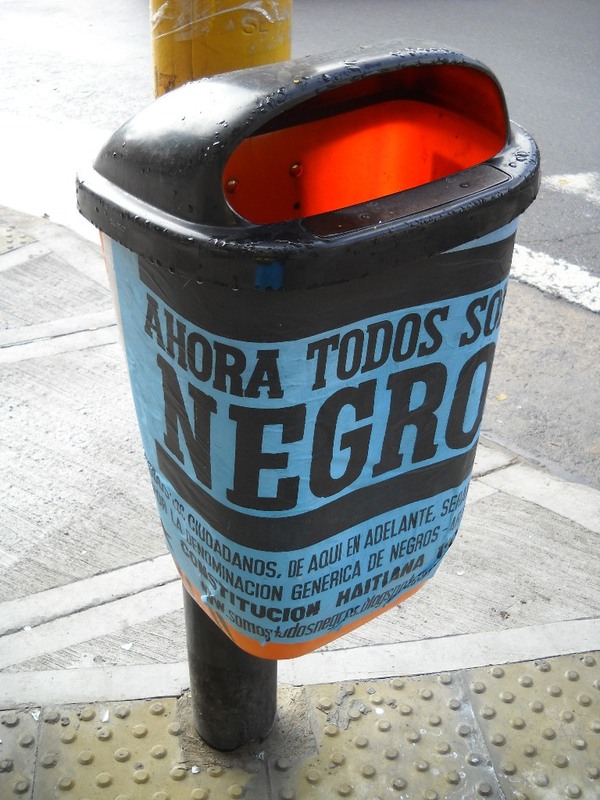 This presentation will focus on four exhibitions that – over the last decade – have built the global reception of Tucumán Arde as the best-known incidence of so-called “latin american conceptualism”. 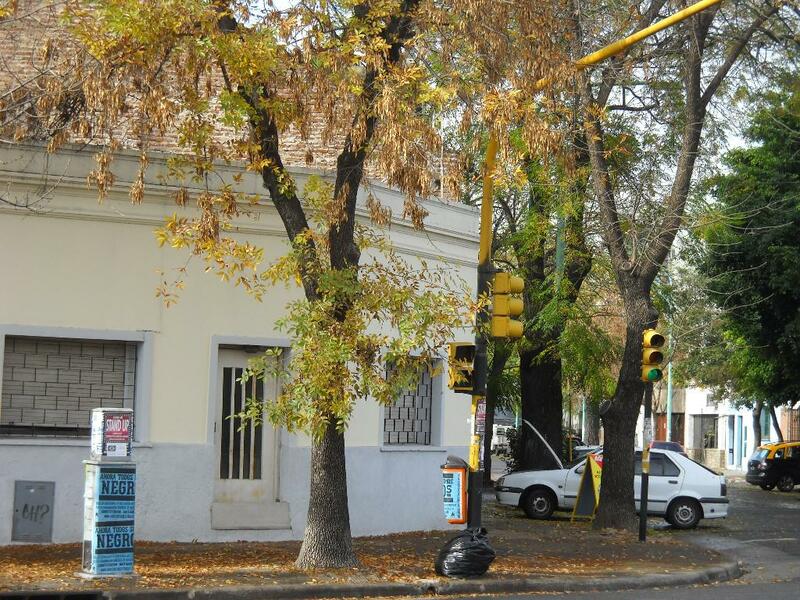 Tucumán Arde was used as a reference to write a new historiography of conceptual art in “Global conceptualism” (1999). This exhibition pointed out that while American and European conceptual art was concerned with the limits of art language, Latin American conceptualism developed a social and ideological impulse. 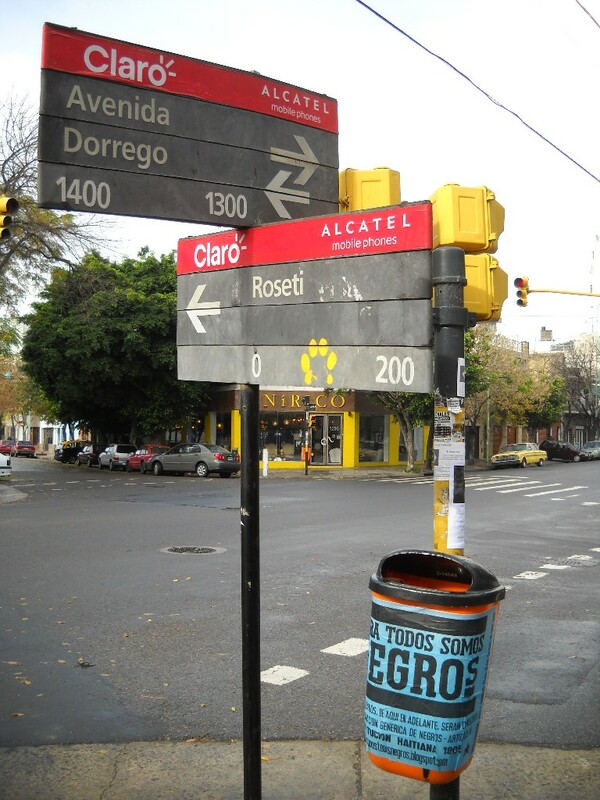 Some years later, the project “Ex-Argentina” (2004) recovered Tucumán Arde as the symbolic origin of current activist art practices. This point of view contributed to transforming the experience into an established myth. Finally, the most recent “documenta” (XII/2007) presented the documents of Tucumán Arde’s archive as pure aesthetic images. All of these curatorial operations have contributed to a forgetting of the historical dimension of the experience. More recently the museographic experiment “Inventario 1965-1975: Archivo Graciela Carnevale” (Centro Cultural Parque de España, 2008) proposed an analytical perspective concerning the history of the archive. This exhibition tried to reactivate the archive’s potential, and this is a philosophical and political issue that this presentation will critically address. In the Latin American scene during the sixties and seventies several experimental publishing initiatives focused on the dissemination and conceptualization of “new poetry” practices. 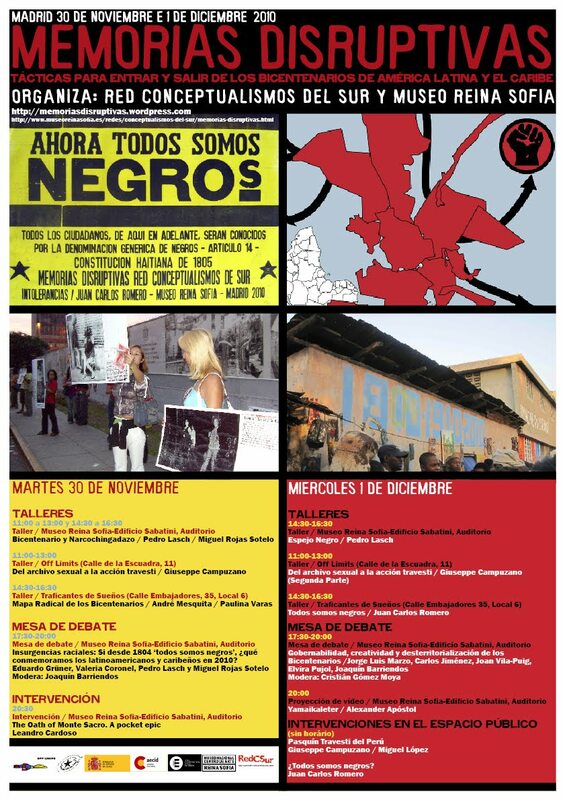 These projects – many overflowing the institutional channels of art – aimed to articulate a set of alternative and collaborative networks in order to intervene in the collective dynamics of social change that spanned this period. This interest in constructing other spaces did not, however, necessarily entail a radical, definitive break with the art institution. On the contrary, a range of projects sought to tactically intervene from inside the institution in an attempt to subvert or dismantle its regimes of power. 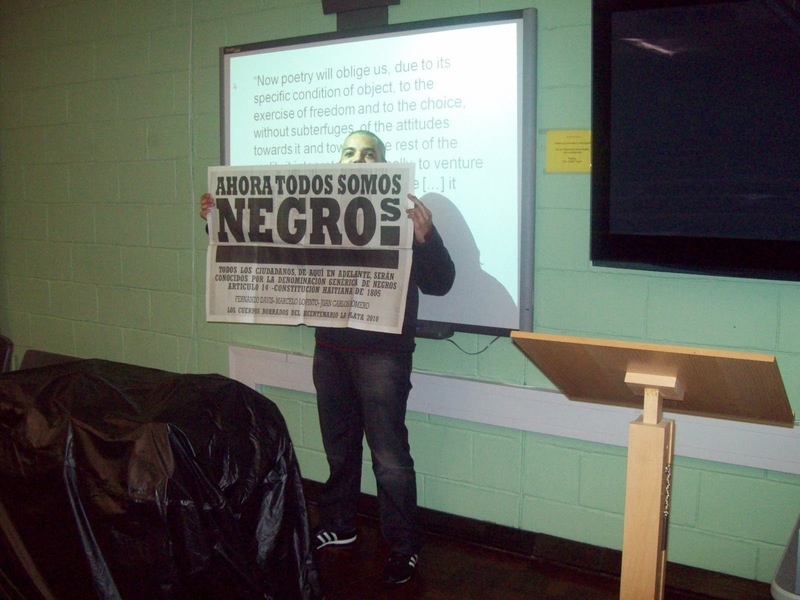 In this sense, several institutions hosted exhibitions of these experiences. Magazines and exhibitions did not therefore constitute mutually exclusive alternatives; on the contrary they designed, in their simultaneous development, a double circuit – a strategic device by which these practices aimed to critically affect their context. This paper proposes a discussion of certain moments and episodes within this map, and will consider a series of projects driven by the Argentine artist Edgardo Antonio Vigo and the Uruguayan artist Clemente Padin from 1966 to 1972. The first part focuses on projects of the experimental magazines “Diagonal Cero” and “OVUM 10” (directed by Vigo and Padín respectively) and their links to a series of exhibitions organized by these two artists in this period. 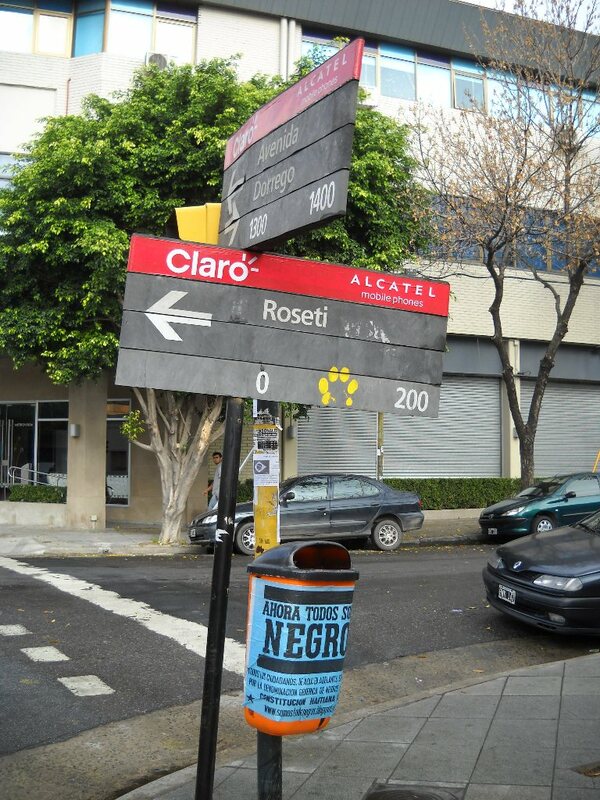 A second part focuses in the radical proposals of a poetry in action (“poesía para y/o a realizar” in Vigo, “poesía inobjetal” in Padin), understood as an open project to trigger a collective and potentially transformative aesthetic experience, with “the street” conceived as the privileged space of poetic and political activation. This presentation focuses on the movement “Poema/Processo” (1967-1972). Fernanda Nogueira will discuss aspects of their collective creative experiences – which collapsed the concept of authorship and confronted the military regime in Brazil (1964-1985) with non-official political action. The participants strategically affirmed that intellectual production is always “in process”. They understood knowledge as a common wealth (“bem comum”), encouraging everyone to become participant. 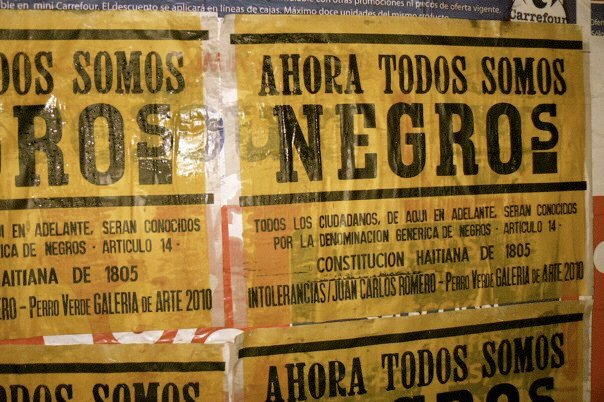 Ignored by traditional literary and artistic circles, the “Poema/Processo” network – which expanded into different regions of the country – consolidated an open platform of critical production, in friction with restrictive and excluding aesthetic policies. Although repressive circumstances forced the group to declare an ‘official ending’ just one year before it became part of the mail art network, they continued working independently towards the possibility of a mass critical use of their production. What is the implication of “Poema/Processo’s” absence from the historiography of both art and literature? What could be the potential contribution of the “Poema/Processo” project for current theoretical reflection and practice? This presentation focuses on the shifts in the critical thinking of the Peruvian-Mexican Marxist art critic and theoretician Juan Acha in late 60s. Of particular importance is the political turning point in his writings after 1968: his proximity to May ’68 in France and his theoretical approach to a new political thought (Jacques Lacan, Michel Foucault, Louis Althusser, and Herbert Marcuse, among others), but also the oblique impact of the anti-colonial liberations movements and the ‘Cultural Revolution’ in China. For Acha, 1968 means not only a radical change in the general forms of conceiving the relations between vanguard, politics and aesthetics, but it also the “revolutionary awakening” of a new political subject in the artistic field. Acha, who supported enthusiastically the eruption of Pop Art, of ephemeral environments and of happenings in mid 60’s Peru, begins to questions radically his previous perspectives and boundaries, promoting a critique of ideology, a different model of insurgency and the redefinition of cultural production in friction with the so-called Revolutionary Government of the Armed Forces ruled by General Juan Velasco, which took power -in a coup d’état- in October 1968, until 1975. For the Peruvian critic, in that context it was urgent to encourage an all-encompassing transformation in which aesthetics should perform all their utopian, libertarian and emancipatory potential. León Ferrari and Ricardo Carpani were key in the Argentinian political art scene of the 60s. Ferrari’s work La civilización occidental y cristiana is a reference in the analysis of the process of politization that affected the avant-garde of the Instituto Di Tella. 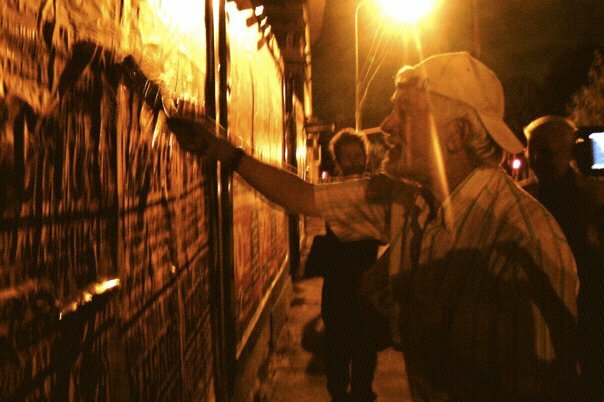 That process finished with the “itinerario del 68” and the political art project Tucumán Arde. 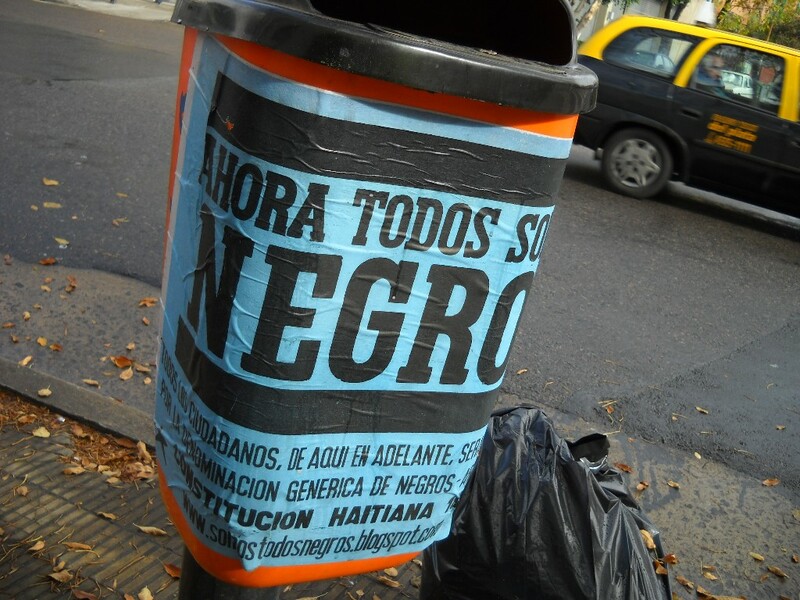 It made artists leave the avant-garde institutions and locate their practice in a new context: the union CGT de los Argentinos, where artists tried to increase social effectiveness of their activity. After this experience, many of these artists left the artistic practice because they did not know how to articulate art and politics in the revolutionary context. Carpani, on his side, collaborated with unions from the late 50s, producing political images much closer to the demands of socialist realism. Not long before his death, Carpani said in an interview that the conclusion of the avant-garde of the 60s revealed that he, as a political artist, was already in the right place at the beginning of that decade. 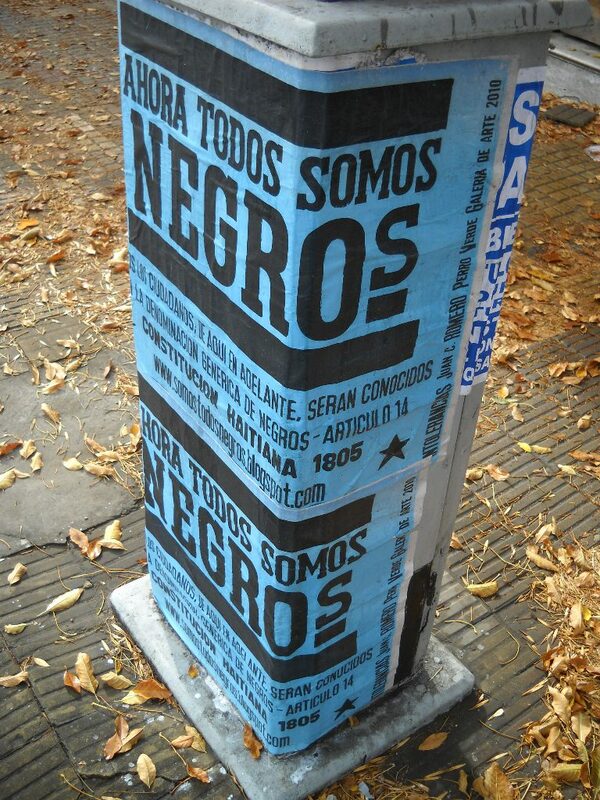 Certainly, this was an attempt to discredit the particular artistic methodology of Tucumán Arde, but it helps to understand in which way the relationship between art and politics was reformulated after 1968. This presentation will focus on the contributions that both artists (Ferrari and Carpani) read in the Encuentro de Artistas Plásticos del Cono Sur, celebrated in Santiago de Chile in 1972. During those years, the success of Salvador Allende in Chile and the Comunist government in Cuba encouraged Latinamerican artists meetings to discuss the new social function of art. In a context where revolutionary art was a previous step to socialist art, at times art lost its status of political singularity.